Architectural Structures-Basement, Foundation, Terraces, Retaining Walls and Buildings, Streams, Harbors, Railways and Roads-Dams, Banks, Reclaimed Lands, Tunnels. Underpasses, Subways, Overpasses, Platforms.Water Supply and Sewerage-Reservoirs, Detention Ponds, Clean Water Ponds, Processing Ponds, Water Channels. Agricultural Irrigation-Reservoirs, Irrigation Project, Canals. Hydro Power Stations-Dams, Water Conduits, Water Tunnels, Surge Tanks, Drainage. Thermal Power Stations - Water Intakes and Drainages, Water Tank Buildings. *Test Certificate can be produced, if required. The surface extends the special wavy inclination, embeds with concrete, and hence guarantees perfect water-tightness. Different designs are offered to suit different type of concrete structures & requirements. This ensures the perfect ready solutions to the critical applications also.  Compounded of special treated plastics, Vardhman PVC water stopper is non-corrosive, rust-proof, durable and resilient in nature. Long buried in concrete, it will not be eroded by acid, alkali and metallic salt. 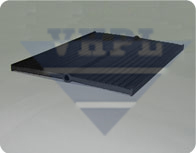 PVC is lighter than other materials and hence offers ease of handling and erection. stopping water during the implementation is excellent and no other materials can compete. Color: Black or White (standard) in lengths of 25 Mtr. or in desired color and length. Note: We manufacture special designs of Water stopper as per customer's requirement.